Yanis Varoufakis, Pilar del Rio and Noam Chomsky signed the petition "Elections without Lula are Fraud"
More than 200 thousand people had already signed the "Manifesto Election without Lula is Fraud until the morning of this Tuesday (23), in the lead up to the hearing of the former president's appeal in the Federal Regional Court of the 4th Region (TRF4), in Porto Alegre (RS). The support signatures come from all the regions of Brazil and the world. Last week, for instance, the former minister and diplomat Celso Amorim informed that 10% of the signatures came from Argentina. Among the released signatories, one can see the Greek economist Yanis Varoufakis and the writer Pilar del Rio Sánchez, president of the José Saramago Foundation (and widow of the Portuguese writer). In addition to that, the writers Eric Nepomuceno, Miguel Souza Tavares (Portugal), Mario Prata, Milton Hatoum and Raduan Nassar, and actors such as Marieta Severo and Wagner Moura signed the petition. The theater director José Celso Martinez Corrêa, Zé Celso, is on the list as well. Last week, many artists participated in the acts in Rio de Janeiro and São Paulo. The former president José "Pepe" Mujica (Uruguay), Rafael Correa (Equador), Cristina Kirchner (Argentina) and Ernesto Samper (Colombia) also signed the document, besides the North American philosopher Noam Chomsky, the filmmakers Costa-Gravas and Oliver Stone, the Portuguese sociologist Boaventura de Sousa Santos, and the former Italian prime-minister Massimo D'Alema. 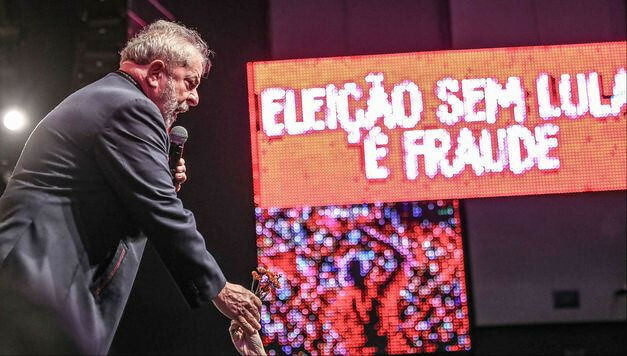 Presidential candidates like Aldo Rebelo (PSB) and Manuela d'Ávila (PCdoB) reinforced their support to Lula. Possible candidate from Psol, the leader of the homeless workers movement (MTST) Guilherme Boulos also defends the former president's right to run the elections. Took part in the Manifesto the economist Maria da Conceição Tavares, the professors Lilia Moritz Schwarcz and Maria Victoria Benevides (USP, Brazil), Michael Kennedy (Brown University, USA), the historian Peter Burke (University of Cambridge, UK), and the former French ambassador and geographer Michel Foucher. At the same time, in the last few days a series of demonstrations in defense of Lula's candidacy, not only in Brazil, but in many other countries, have happened. In Porto Alegre, a camping site has been established since Monday (22), next to the building of the Court of Appeals (TRF4), and is expected to stay there until the trial. To read and sign the petition, access the link.